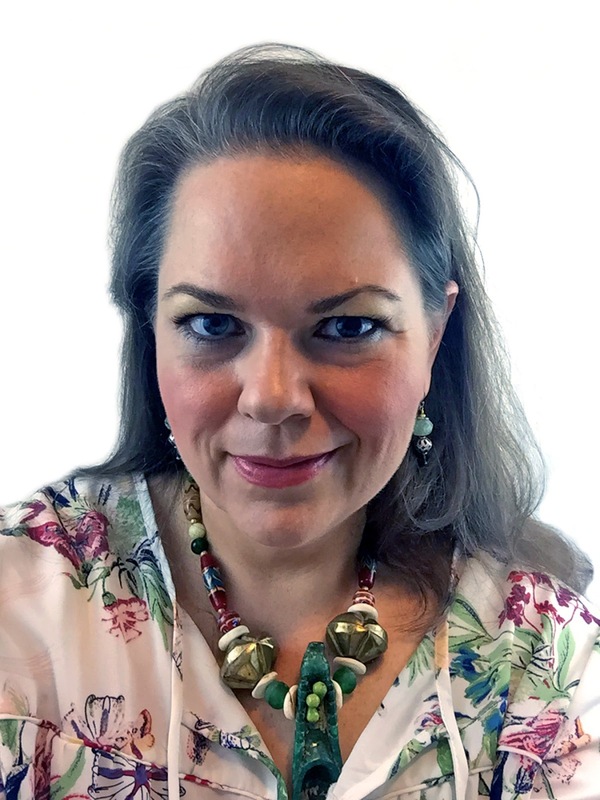 Hi all, it's Gwen with the March edition of Gwen's Gems! 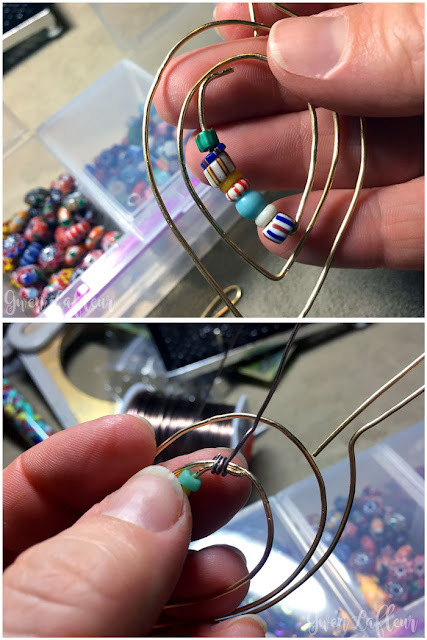 This month I decided to tackle an idea that's been kicking around in the back of my head for quite a while - using a stencil to make a pattern for wire jewelry. Intrigued? I hope so! 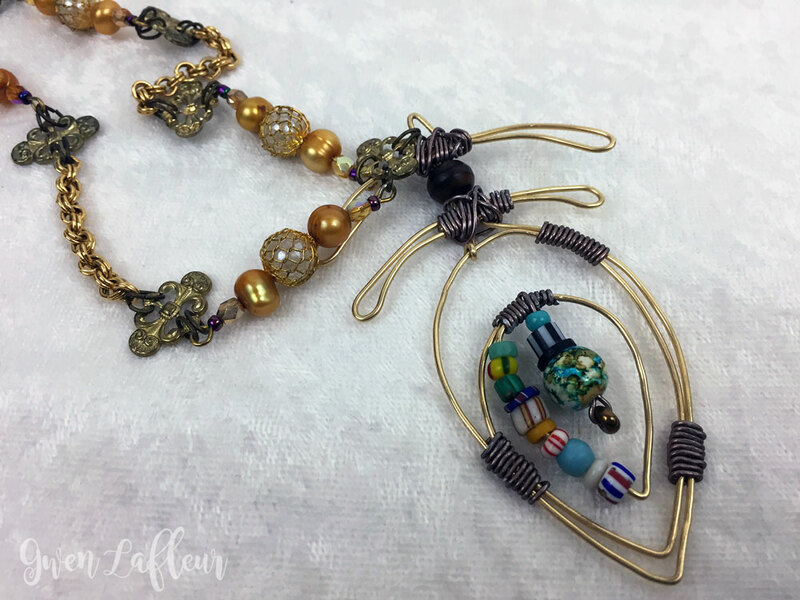 Here's the pendant that I made with my pattern, and then below is a quick tutorial to show you how it all came together. 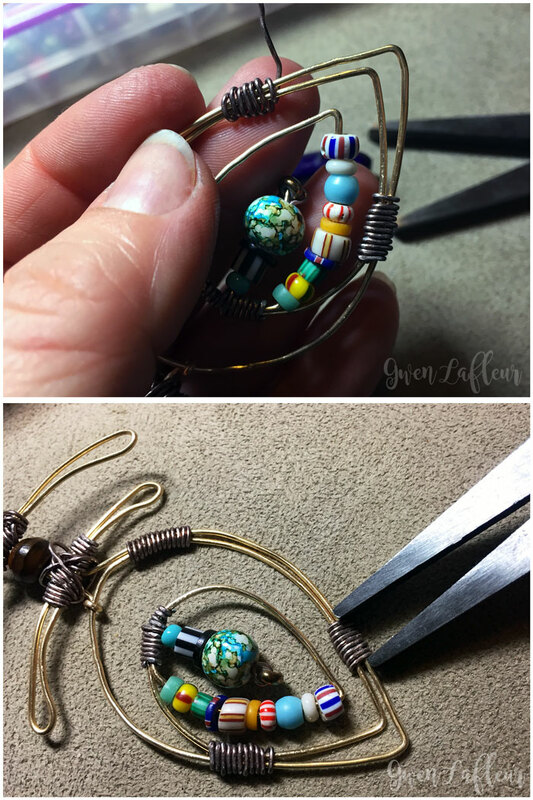 About two years ago I took a class at my local bead shop to learn how to make wire-wrapped pendants. I loved it - it's fun and a lot easier than it looks! I've played with the concept on and off since then, and a few months ago I had an idea for a necklace that required a wire jig so I picked one up. As I worked on that piece, it occurred to me that I could probably use a stencil to make a pattern, and I just couldn't get that thought out of my head... I had to give it a try! Of course, the first shape I wanted to try was a peacock feather, so I used my Ornamental Peacock Feathers stencil to create the pattern. 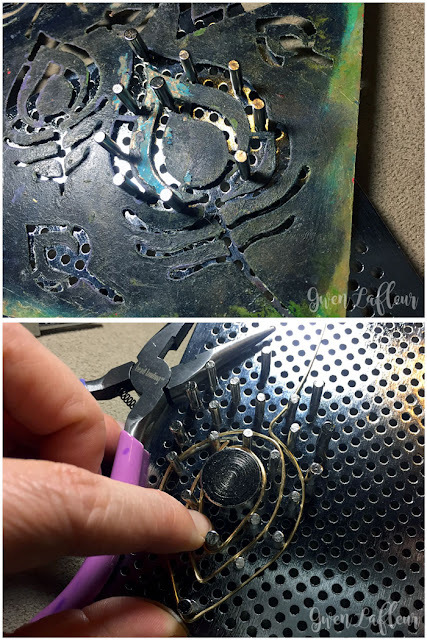 To do this, I laid the stencil over the jig and then inserted the metal pegs into the stencil openings (I secured them on the bottom as well with the little plastic tubes that come with the jig,) and played with how they were laid out until I was happy with the arrangement. Once I had the positioning down, I took some 20 gauge gold-colored wire and cut a long length (about 18-20,") then started shaping it around the pegs. (I like 20 gauge for this because it's thick enough to hold its shape but not too thick to be workable. I've found that 24 gauge is definitely too thin; 22 gauge could work depending on how soft the wire is.) I used my fingers and pliers to do the shaping - nylon jawed pliers are especially helpful to keep from marking the wire as you work. I started with just the basic feather shape, leaving the cross pieces to do separately. When I had it shaped, I pulled it off the jig and added some small Christmas beads (African trade beads) into the very center section to jazz it up a bit. Once the small beads were in place, I used 24 gauge wire and wrapped it, securing the loose end of my feather shape to keep the beads in place. I decided to go with bronze colored wire for a bit of visual interest. 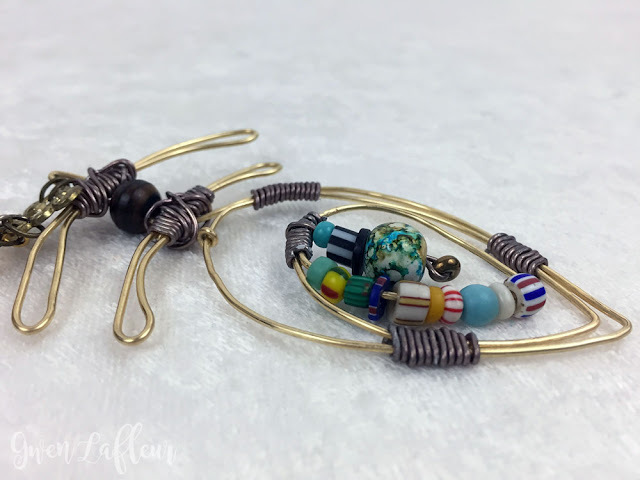 I also strung a few more beads on another piece of wire and attached it by wrapping the end so that it would hang down into the center opening of my feather. 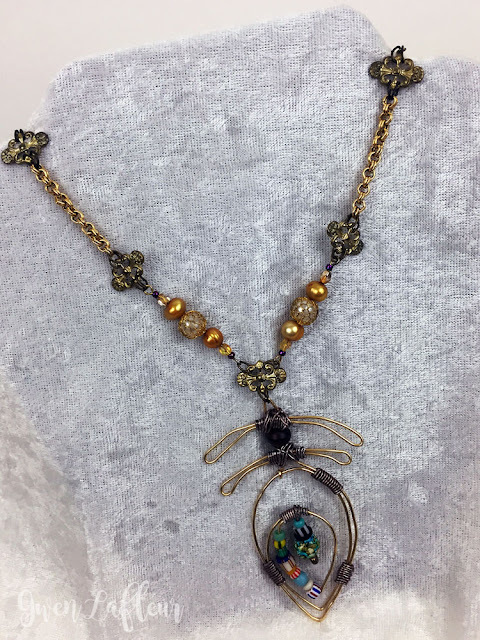 I wanted a few more decorative touches, so I used more of the 24 gauge wire in a few places around the feather and wrapped it. I used these flat blade pliers to tighten up my wrapping - I learned about these in my class and they're incredibly helpful! For the cross pieces of the feather, I went back and shaped the wires on the jig, then pulled them off and molded them just a bit and wrapped with more 24 gauge wire to secure the loose ends. Then I took another small length to attach each one onto the main feather (you can also see where I added a small wooden bead in between - it's ornamental and functional at the same time since it helps keep the two cross pieces separate.) I went for a kind of rustic look, crossing the wire back and forth so that the wrapping would be secure and a little decorative at the same time. You can see at the very tip where I left the end visible - you want to make sure to do that so that you can hook your pendant onto the chain of your necklace. Voila! 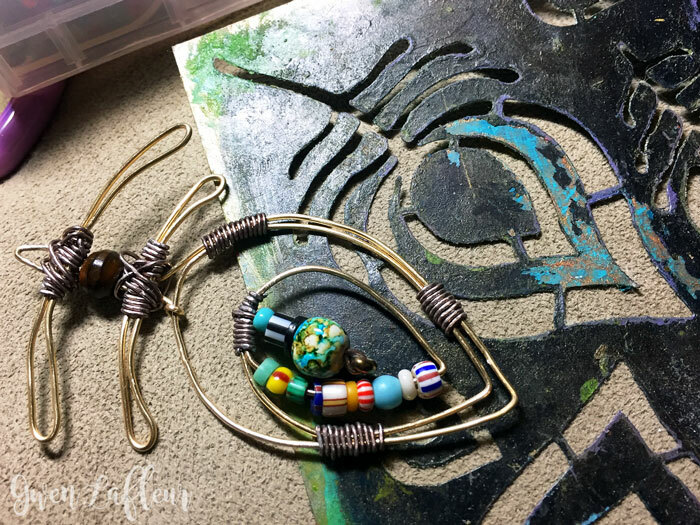 A fun and unique beaded wire pendant made using a stencil for the pattern. It takes a little practice to get used to working with the wire, but I love the effect you get as it all starts to come together. I just added some beads, chains, and metal findings to turn it into a complete necklace and now it's ready to wear! That's it for this month... I hope you enjoyed this month's project as much as I enjoyed making it! Have you ever used a stencil as a pattern for your own wire jewelry? I'd love to see! Gwen, ok so now I have to try this! It truly is a Gwen’s Gem and it’s beautiful! I have never tried a jig or the wrapping; great idea and it came out beautiful! Thanks so much Linda! The wire wrapping was a bit out of my comfort zone at first (still is, a bit!) but it's so much fun! Delightful design! What a neat idea to use a stencil in this way! Thank you so much Terry - so glad that you liked it! Thank you Tracy - much appreciated! This is absolutely incredible Gwen! I love that you keep redesigning the stencil with all of your mixed media projects! This pendant is gorgeous and you rock! And congrats on the sale of it as well!